Those who acted on the news did so at their peril. 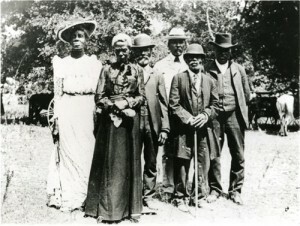 As quoted in Litwack’s book, former slave Susan Merritt recalled, ” ‘You could see lots of niggers hangin’ to trees in Sabine bottom right after freedom, ’cause they cotch ’em swimmin’ ‘cross Sabine River and shoot ’em.’ ” In one extreme case, according to Hayes Turner, a former slave named Katie Darling continued working for her mistress another six years (She ” ‘whip me after the war jist like she did ‘fore,’ ” Darling said). The most logical candidate for commemoration of the slave’s freedom was Jan. 1. In fact, the minute Lincoln’s Emancipation Proclamation had taken effect at the midpoint of the war, Northern black leaders like Douglass led massive celebrations in midnight jubilees; and on its 20th anniversary in 1883, they gathered again in Washington, D.C., to honor Douglass for all that he and his compatriots had achieved. Because of its partial effects, some scholars argue that perhaps the most significant aspect of the Emancipation Proclamation was the authorization of black men to fight in the war, both because their service proved to be crucial to the North’s war effort, and because it would be cited as irrefutable proof of the right of blacks to citizenship (which would be granted by the 14th Amendment). While national black leaders continued to debate the importance of remembering other milestone anniversaries, the freed people of Texas went about the business of celebrating their local version of Emancipation Day. For them, Juneteenth was, from its earliest incarnations, as Hayes Turner and others have recorded, a past that was “usable” as an occasion for gathering lost family members, measuring progress against freedom and inculcating rising generations with the values of self-improvement and racial uplift. This was accomplished through readings of the Emancipation Proclamation, religious sermons and spirituals, the preservation of slave food delicacies (always at the center: the almighty barbecue pit), as well as the incorporation of new games and traditions, from baseball to rodeos and, later, stock car races and overhead flights. Like a boxer sparring with his rival, year after year Juneteenth was strengthened by the contest its committee members had to wage against the Jim Crow faithful of Texas, who, in the years following Reconstruction, rallied around their version of history in an effort to glorify (and whitewash) past cruelties and defeats. When whites forbade blacks from using their public spaces, black people gathered near rivers and lakes and eventually raised enough money to buy their own celebration sites, among them Emancipation Park in Houston and Booker T. Washington Park in Mexia. Strengthening the holiday’s chances at survival was its move across state lines — one person, one family, one carload or train ticket at a time. As Isabel Wilkerson writes in her brilliant book, The Warmth of Other Suns: The Epic Story of America’s Great Migration, “The people from Texas took Juneteenth Day to Los Angeles, Oakland, Seattle, and other places they went.” As it spread, the observance was also changing. This was especially true in the 1920s, Turner explains, with the Consumer Age infiltrating black society with advertisements for fancier Juneteenth getups and more elaborate displays of pomp and circumstance. This did not mean that Juneteenth’s advances remained unbroken, however. Despite local committees’ best efforts, with each new slight, with each new segregation law, with each new textbook whitewashing and brutal lynching in the South, African Americans felt increasingly disconnected from their history, so that by the time World War II shook the nation, they could no longer faithfully celebrate freedom in a land that still rendered them second-class citizens worthy of dying for their country but not worthy of being honored or treated equally for it. Hence, the wartime Double V campaign. It is possible that Juneteenth would have vanished from the calendar (at least outside of Texas) had it not been for another remarkable turn of events during the same civil rights movement that had exposed many of the country’s shortcomings about race relations. Actually, it occurred at the tail end of the movement, two months after its most prominent leader had been shot down. As is well-known, Martin Luther King Jr. had been planning a return to the site of his famous “I Have a Dream” speech in Washington, this time to lead a Poor People’s March emphasizing nagging class inequalities. Following his assassination, it was left to others to carry out the plan, among them his best friend, the Rev. Ralph Abernathy, and his widow, Coretta Scott King. 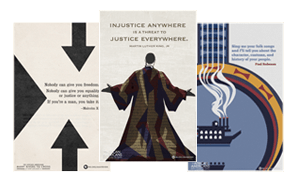 When it became clear that the Poor People’s March was falling short of its goals, the organizers decided to cut it short on June 19, 1968, well aware that it was now just over a century since the first Juneteenth celebration in Texas. 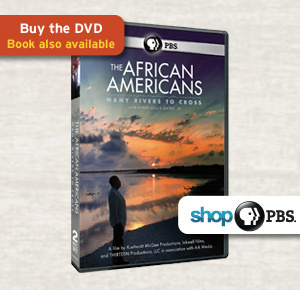 You can follow Edwards’ efforts and others’ worldwide at juneteenth.com, founded in 1997 by Clifford Robinson of New Orleans. Another organization, the National Juneteenth Observance Foundation, founded and chaired by the Rev. Ronald Meyers, is committed to making Juneteenth a federal holiday on a par with Flag and Patriot days. (Note: They are not calling for Juneteenth to be a paid government holiday, like Columbus Day.) 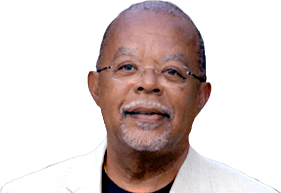 “We may have gotten there in different ways and at different times,” Meyers told Time magazine in 2008, “but you can’t really celebrate freedom in America by just going with the Fourth of July.” You can follow his organization’s activities at nationaljuneteenth.com. I grew up in West Virginia, many miles from the site of the first Juneteenth, and I never heard of the holiday until I went off to college. But I have come to see the beauty in its unexpected past and persistence. Besides, June 19 is generally a more comfortable day for outdoor family fun — for fine jazz music and barbecue — than Jan. 1, a day short on sunlight. In my article “Should Blacks Collect Racist Memorabilia?” I quoted W.E.B. Du Bois’ summation of Black Reconstruction: “The slave went free; stood a brief moment in the sun; then moved back again toward slavery.” At the time I failed to appreciate just how apt a description it was. My hope this Juneteenth is that we never forget it. PREVIOUS FACTShould Blacks Collect Racist Memorabilia? NEXT FACT‘Plessy v. Ferguson’: Who Was Plessy?